MOSCOW (Sputnik) - The US administration has reportedly halted funding for the White Helmets in Syria, a nonprofit praised by the West for helping civilians and blamed by Russia for faking proof of the Syrian government’s alleged atrocities. Raed Saleh, the leader of the controversial group, told CBS the flow of US cash, which amounts to a third of their budget, had stopped in recent weeks, almost two months after their delegation was hosted by the US State Department in Washington, DC in March. An internal State Department document reportedly said the Near East Bureau required confirmation from the administration by April 15 or else all funding for the self-styled humanitarian group would be frozen. The State Department said the White Helmets financing was "under active review," according to the US broadcaster. Saleh complained they had not been formally notified and only had enough money to last for one or two months. The White Helmets reported in early April an alleged chemical attack in Douma, which they claim was performed by the Syrian government, who has refuted all the allegations. Soon after the incident, France, the United States and the UK launched massive missile strikes against government targets in Syria. 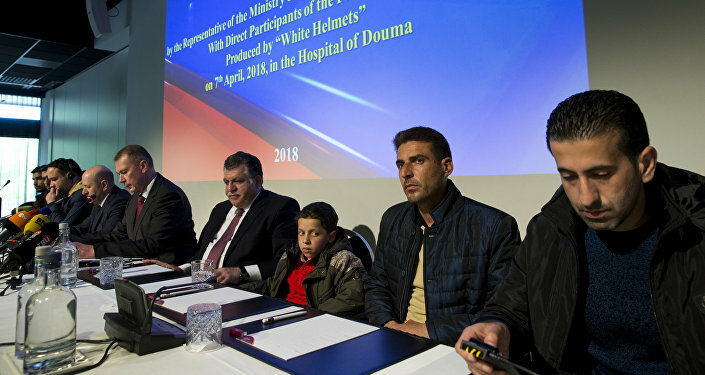 Later, the Russian Envoy to the OPCW reported that Russian experts who conducted the verification of reports on the use of chemical weapons in the Syrian city of Douma, found participants in the filming of the video, presented earlier by the White Helmets, which was provided as evidence of the supposed chemotherapy given to victims after the alleged chemical attack. 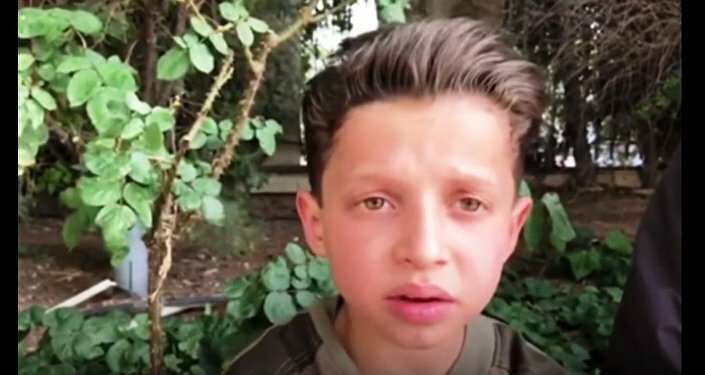 Meanwhile, Hasan Diab, a Syrian boy who has been documented in the video by the White Helmets about the alleged chemical weapons attack, told the Russian TV channel Rossiya 24 about the details of the White Helmets' footage. 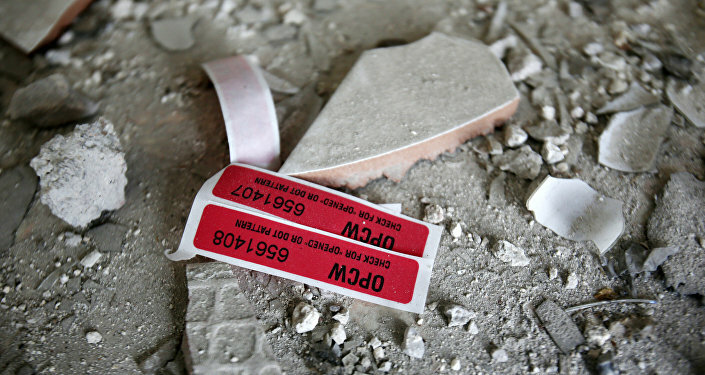 The boy said that he was in a basement in Douma with his mother when someone shouted to go to the hospital. When they arrived, somebody grabbed him, poured water on him and put him on a bed with other people in order to shoot a video, after that they were released.